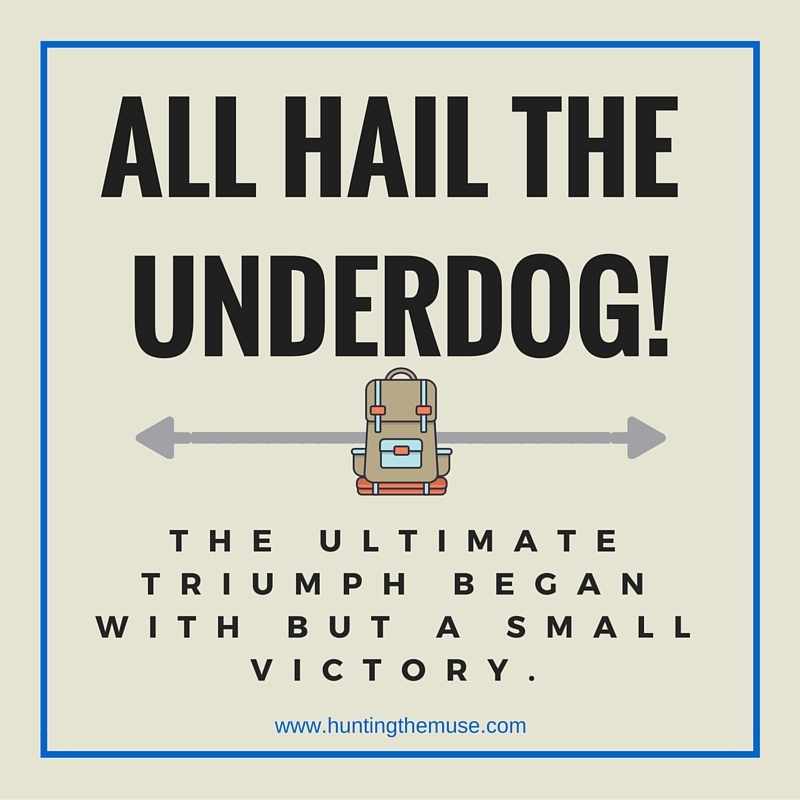 Hunting the Muse: Creative Writing Podcast: All Hail the Underdog! I want to take a moment tonight to talk about underdogs. Our lives are filled with stories of underdogs who overcome impossible odds. In many cases, it's the bread and butter of storytelling. There are many reasons why an underdog will pick up the banner and charge the oncoming horde. Sometimes they do it as a conscious choice, but often it's a combination of circumstances which thrust them into harms way with no other way out than to press forward. Unlike some of our most celebrated underdog stories, life is a cruel mistress. Most underdogs are swept out to sea with the retreating tide. The truth is, few underdogs overcome difficulties, but each sequential success prepares them in unique ways to overcome other difficulties life throws their way. So what is it about overcoming a difficulty that can be a catalyst of strength for other problems down the road? 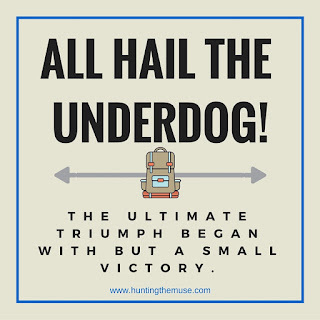 What tools do underdogs gain with each subsequent victory? Chances are, we don't do everything perfect the first time around. Our unlikely hero has to learn from his mistakes or the mistakes made by those around them. A successful underdog has the ability to look at a problem in a unique way. They see the problem for what it is, a puzzle. Some characters with more power at their disposal might rush head-long into combat, but our unlikely hero knows they're up against something profoundly difficult and that an out-of-the box solution might be required. While everyone else prepares to engage a problem with the obvious solution, our underdog employs creative thinking to see the problem in a new, creative light. Their unique experience helps them draw allegories to other experiences and situations most haven't encountered. In many cases, their greatest weakness becomes their greatest strength. The truth is, most of us are underdogs in our own right. We love to see the unlikely overcome because it gives us hope. We want to believe it's more than just circumstance or fate which brings the ultimate victory. An underdog might not have strength or courage or good looks. That's okay. We can identify with their struggle. We know what it feels like to be different than everyone else, even if some of those differences are mostly just an illusion. Part of the underdog's struggle is that they see their own doubt echoed in those around them. 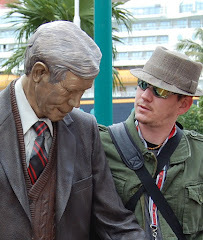 While there might be a mentor who believes in them, they are surrounded by reminders of why their quest is impossible. A well-written underdog doesn't win easy. Things aren't handed to her; she doesn't simply awaken with abilities or powers. The struggle is real. Each step is a small victory. Each misstep is a lesson learned. It's important to remember that there are failures, as well as victories, on the path to ultimate glory. The underdog embodies a critical ethos of storytelling. What makes them real isn't the victory, it's the struggle: the complex layers stacked upon one another to make them who they are.